Four piece instrumental indie band from Chicago, Illinois. 1998 formed out of Cap'n Jazz and Joan of Arc; Victor Villarreal (guitar), Sam Zurick (guitar), Eric Bocek (bass), and the addition of Scott Shelhamer on drums. Ghosts and Vodka continued to play until 2001 when Villareal and Zurick opted to concentrate on Owls, which saw them reuniting with their ex-Cap'n Jazz bandmates Mike and Tim Kinsella. In 2003, the Sixgunlover label compiled the group's full anthology onto one CD (Addicts and Drunks). 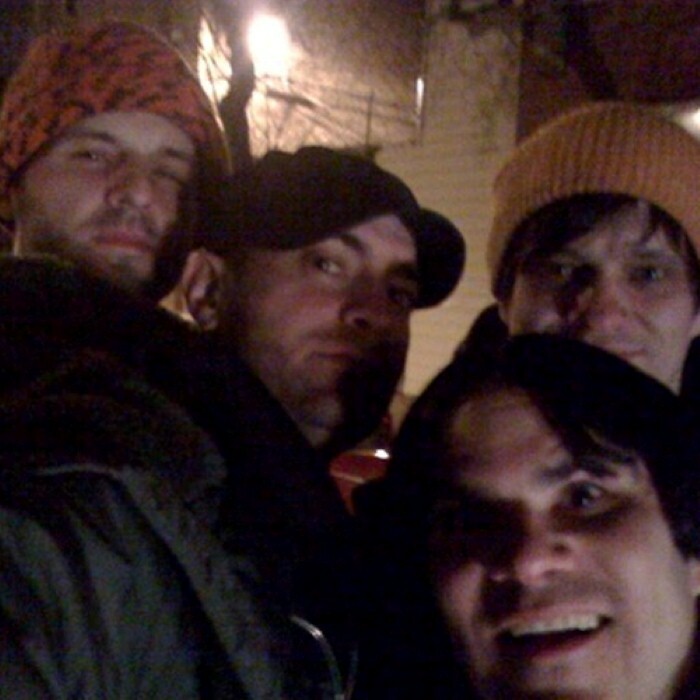 In March 2009, the band put a blog up on their Myspace with news of their first practice in 8 years, with the last line being "We will keep you posted... or not. One or the other." However, on October 26, 2009, a twitter update was posted, stating "Dead." Some explanation was written on a myspace blog post: "We're calling it a day. It was worth a shot, but we have sort of felt like we've been pushing a boulder up a hill. We've all got a lot going on in our lives right now and it's just gotten too difficult to pull it together. We aren't ruling out the prospect of trying again in the future, but as of right now... this ship is sunk. Thanks so much for the support and kind words while it lasted. Please check out our other bands / artistic endeavors if you get the chance."